I am on a flight from Brisbane to Melbourne. This will be followed by a two and half hour drive to Victoria’s western district. Tonight I will stay at my parents’ home. It will be the last night Mum and Dad will spend together in their family home. I don’t think the momentous nature of this change has settled on us just yet. So, it all started about three months ago. I was visiting Mum and Dad on one of my ‘flying visits’: quick mid week jaunts where I would stay over with them for two nights and then return home. Mum, Dad and I were to go next door to have tea with my sister Jo and her husband Fred. Jo was picking up some tea on the way home from work. So here we are, waiting in my parent’s lounge room, and Mum simply said “Do you think Jo will have enough food for all these people?” The phrase “all these people” took me by surprise: there were only the three of us in the room, and with Jo and Fred, that still only came to five. “What do you mean, ‘all these people, Mum?’ There are only three of us, and then Jo and Fred” I said. I don’t think the momentous nature of this change has settled on us just yet. Chatting with Jo later that night I learned that these ‘visions’ had been happening from time to time. Then, two weeks later, I called Mum to see how she and Dad were going. Mum asked me whether I had heard what had happened earlier that morning. I hadn’t. So she told me: mum explained how that morning she had fainted, and she thought she had died, and that some people revived her, but now everything was OK. Or so her story went. At this point, we have learned not to challenge the existence of the Men in Black, or anything else that Mum may “see”. Instead, we have decided to explore Mum’s experiences with her. We ask her what the Men in Black are doing, or what they are saying. I think this has helped ‘normalise’ Mum’s experiences for her, and I’m sure that if we challenged her every time she mentioned them, she would only become distressed. So our goal has been to keep things as normal as we can for Mum. It seems, at this point, to have been a successful strategy. In the last three months Mum’s delusional ‘realities’ have made their presence felt in our lives. While we are still waiting for an official diagnosis, it seems that Mum is being drawn into the world of some sort of Alzheimer’s or dementia. In way, the diagnosis is kind of academic. Whatever it turns out to be, the ACAT clinician says Mum should go into full care, and hence this plane trip. And this blog post. And the ones that will follow. In the next few posts I want to explore this time of transition for our family, in the hope that it may be helpful for others in the same position. And, of course, I’ll keep you up to date with how it all goes. Q: Have you ever had to check a parent or loved one into full care? How did it go? Feel free to share your experiences by posting a comment. 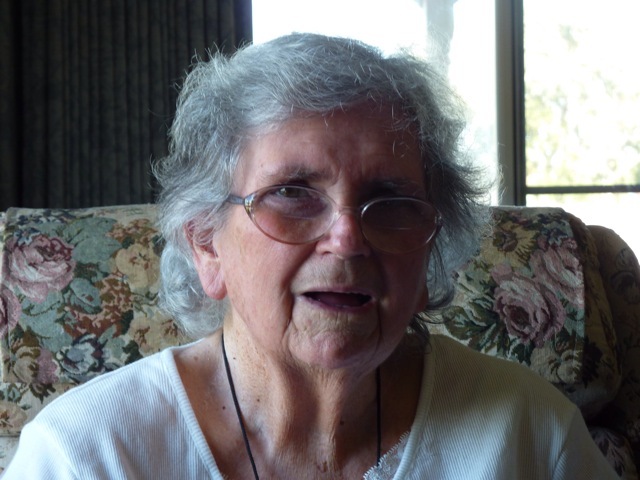 This entry was posted in Aged Care, Alzhiemers, Christian faith, Dementia, Family, Relationship and tagged Fear, story. Bookmark the permalink. Dave my thoughts are with you all today and I will ring a little later. Dont forget to get the phone number for mum’s room. I’ve seen this all through Neil’s Father having being put into full time care last December – Neil’s mum is a saint as she was Pop’s full time carer for years since his dementia emerged some 5 or 6 years ago (could be longer) Its heartwrenching having to do it but you know its the right thing to do for all involved. I know Dad will take time to adjust and probably feel very guilty as I think Jo will too but they both need to be reminded its best for both/all of us. There will be times when she will want to come home (as Pop often does) and not know why she has to stay there – we just tell Pop he can come home when the Dr says he can. Seems to work for now. I sit here with tears knowing its the right thing to do and wishing I was there with you helping but maybe its best I’m not as I wouldnt want to upset mum. Your words remind me that we are all in this together, even though we are not here together. It’s hard to beat support from others. And I think God uses those words to give us strength. Thanks for your support and care. I think we have a way to go before Mum feels like Lovrly Banks is home. Maybe we still have a few days of connfusion to come with that. Hopefully, some of the fog will lift before long. We are in God’s hands, and we’re content with that. As you know our thoughts and prayers are with you all. I had tears in my eyes this morning when I read you entry from yesterday – it has to be one of the hardest things we should ever have to do. We are extremely grateful that you were there to support Dad and Jo through this move and its ups and downs. Having read today’s entry I am now sitting here with tears flowing down my face but I realise things cant be any other way than the way they are. I too remember all too well leaving a child at daycare and having to walk away while they screamed and cried – heart wrenching ! but there was no other way ! Now as I try to rest I pray that tomorrow will be a better day. Thnaks for writing. It’s great to remember that God is with us in this. In all the confusion, and all the questions, and the pain of it all.